Post 2010, There has been a surge in the High budget films in the Indian film industry. The last decade witnessed many expensive Indian films. While some of the high budget films became commercially successful, many films including Thugs Of Hindostan were declared flop. Here is the list of 14 most expensive Indian films of all time. Written and directed by noted director S. Shankar, 2.0 is an upcoming science fiction film. The film is set to release in theatres worldwide on 29th Nov 2018. A successor to 2010 Tamil film Enthiran, 2.0 features Rajinikanth, Akshay Kumar and Amy Jackson in lead roles. With a whopping budget of 543 Crore and loaded with heavy VFX, 2.0 has become the most expensive Indian film till date. Here, you can read more interesting facts about 2018 film 2.0. Released on 8th nov 2018, Thugs of Hindostan is an epic action-adventure film. The film stars Amitabh Bachchan, Aamir Khan, Katrina Kaif and Fatima Sana Shaikh lead roles. with an estimated budget of ₹300 crore (US$42 million), Thugs of Hindostan is the most expensive Bollywood film. While the film was produced with a high budget, it failed to impress viewers despite big stars like Amitabh Bachchan and Amir Khan. Critics and viewers criticized the films for its poor direction and screenplay. Featuring Baahubali fame Prabhas in lead role, Saaho is an upcoming sci-fi action film. The film also features Shraddha Kapoor, Neil Nitin Mukesh and Evelyn Sharma in main roles. Scheduled to release in 2019, Saaho is one of the most expensive Indian films with a budget of 300 crores. The makers are shooting the film in Telugu and Hindi simultaneously. On the occasion of Prabhas’ birthday, makers released a teaser on 23 October 2018. Directed by S. S. Rajamouli, Baahubali 2: The Conclusion is an epic fantasy action film released in 2017. The film stars Prabhas, Rana Daggubati, Anushka Shetty and Tamanna Bhatia in lead roles. A follow up to Baahubali: The Beginning, the film was a visual treat for the audience. Set in the ancient Mahishmati kingdom, The film is about the rivalry between two brothers – Amarendra Baahubali and Bhallaladeva. With a total gross of ₹1,416.9 crore, Baahubali 2 is the highest-grossing film in India. One of the most controversial films in Indian film history, Padmaavat is an epic drama film directed by Sanjay Leela Bhansali. Based on the epic poem Padmavat by Malik Muhammad Jayasi, The film stars Shahid Kapoor, Ranveer Singh and Deepika Padukone in lead roles. Deepika plays the role of a beautiful queen Padmavati who is the wife of Ratan Singh. Ranveer Singh plays Alauddin Khilji who wants to get the beautiful queen. With a production budget of 215 crores, Padmaavat is one of the most expensive Bollywood films. Featuring Salman Khan and Katrina Kaif in lead roles, Tiger Zinda Hai is a 2017 action thriller film. Based on the kidnap of Indian nurses by ISIL in 2014, the film is a sequel to 2012 film Ek The Tiger. With a production budget of 210 crores, Tiger Zinda Hai is one of the most expensive Bollywood films. Director Ali Abbas Zafar is working on the sequel to the film. The makers shot the sequences in Abu Dhabi, Austria, Greece and Morocco making it a high budget film. Directed by Aanand L. Rai, Zero is an upcoming romantic drama film. Featuring Shahrukh Khan, Anushka Sharma and Katrina Kaif in lead roles, the film is set to release on 21st December 2018. The film is the story of Bauua Singh, a dwarf man from Meerut. Bauua finds the true love in Aafia Bhinder, a NASA scientist. When Babita also comes close to Bauua, things go berserk making it a love triangle. With a budget of 200 crores, Zero is Shahrukh Khan’s most expensive film. Directed by ace choreographer Remo Dsouza, Race 3 is the third instalment in Race franchise. The film stars Anil Kapoor, Salman Khan, Bobby Deol, Jacqueline Fernandez and Daisy Shah in leading roles. Released on 15 June 2018, Race 3 opened to negative reviews from critics and viewers. With an IMDB rating of 2.1, Race 3 is one of the worst Bollywood movies of all time. Though the film was not well received, it is the biggest opener of the year 2018. This film is the first part of Baahubali cinematic universe. With a budget of 180 crores, Baahulbali was the most expensive Indian film at its time of release. Released worldwide on 10 July 2015, the film garnered critical acclaim from all the corners. The film was able to shatter all previous box office records. 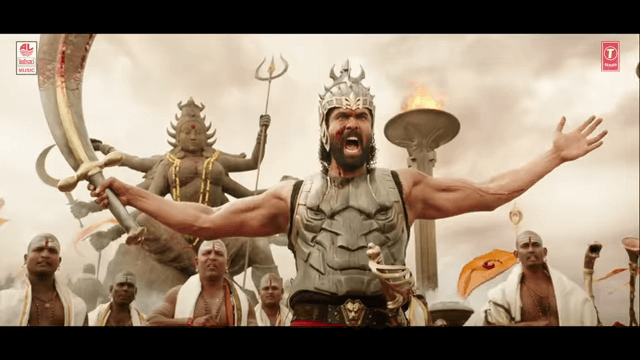 Baahubali started a new generation of fantasy film in India. Did you know director Rajamouli did a small role of a greedy spirit seller in the film? Also Read - 15 Most Scary Road Trip Horror Movies Which Will Not Let You Go Out! Written and directed by Sooraj Barjatya, Prem Ratan Dhan Payo is a 2015 romantic drama film. Featuring Salman Khan and Sonam Kapoor in lead roles, this film was the fourth collaboration between Salman Khan and Sooraj Barjatya. Released on 12 November 2015, the film became a commercial success. The most interesting thing about the film is that Salman Khan worked for free in the movie, as a token of gratitude to the director. Directed by Vijay Krishna Acharya, Dhoom 3 is a 2013 action thriller film. It is the third part in Dhoom movie series. Featuring Aamir Khan, Abhishek Bachchan, Uday Chopra and Katrina Kaif in lead roles, the film hit the theatres on 20 Dec 2013. Though the film received mixed reviews, it is one the highest grossing Bollywood film. With a production budget of 5 crores, Malang song from the film is on the most expensive Bollywood songs. Directed by Rohit Shetty, Dilwale is 2015 romantic action film. Shah Rukh Khan, Kajol, Varun Dhawan and Kriti Sanon in lead roles, the film was produced with a budget of 165 crores. Though the film did not perform well at the box office in India, it became an overseas success. Known as the most romantic couple of Bollywood, Shah Rukh Khan & Kajol share the screen in this film after five years. Gerua song from the film became an instant chartbuster. Features Hrithik Roshan and Katrina Kaif in lead roles, Bang Bang is the official remake of 2010 Hollywood film Knight and Day. As per reports, Hrithik Roshan charged Rs. 30 crores for this film, making him one of the highest paid actors in Bollywood. The film opened to mixed reviews from critics but that did not the impact the box office earning of the film. Viewers praised the film for the performance by actors and action sequences. Directed by Farah Khan, Happy New Year is 2014 heist film. The film has an ensemble cast of Deepika Padukone, Shah Rukh Khan, Abhishek Bachchan, Sonu Sood, Boman Irani, and Jackie Shroff. It emerged as a commercial success despite mixed reviews. Did you know, The film had earned more than Rs 400 Crores even before release. Makers earnt Rs 200 Cr from selling television and music rights and Rs 200 Cr from its promotion. Which movie did you like most among the most expensive Indian films?